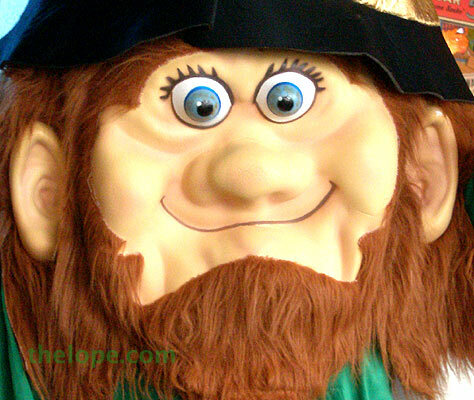 I've run across very little Irish or St Patrick's Day oriented material this past year. 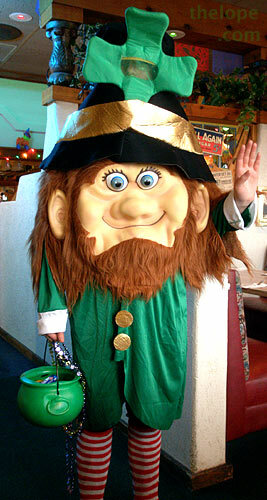 But I did meet a leprechaun at Carlos O'Kelly's restaurant in Hutchinson, Kansas last St Pat's Day. Quite a trooper, he or she was - running around like that for a shift. 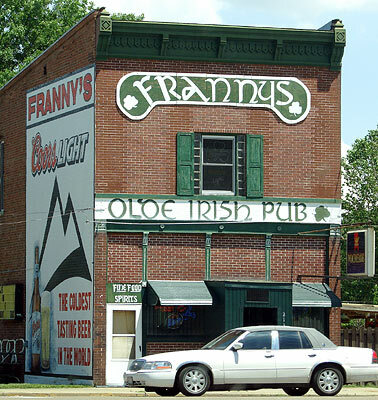 And while in Springfield, Illinois last June, taking a side trip from the National Route 66 Festival, I saw Frannie's Ol'oe Irish Pub. 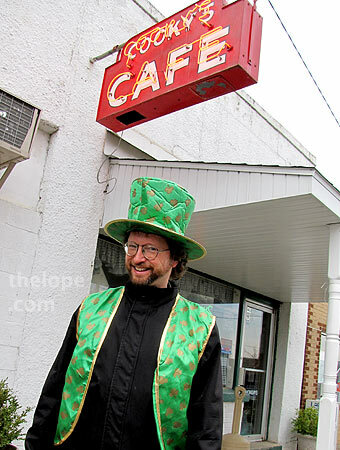 Last July, I met the recently blogged statue of St Patrick in Great Bend, Kansas. 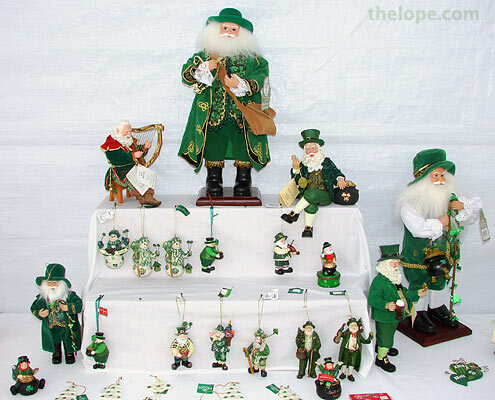 And last September, I saw these holiday ornaments at The McPherson Scottish festival. Is he Santa? Is he a leprechaun? 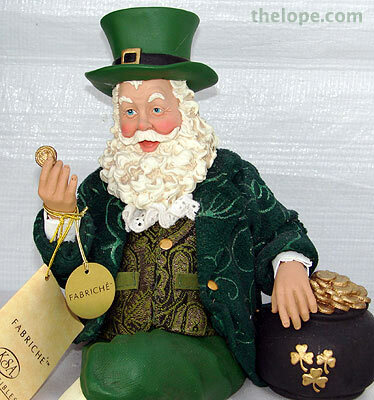 Or is he a dual-market potential collectible designed to empty your pot of gold? Oh well, he looks cool. 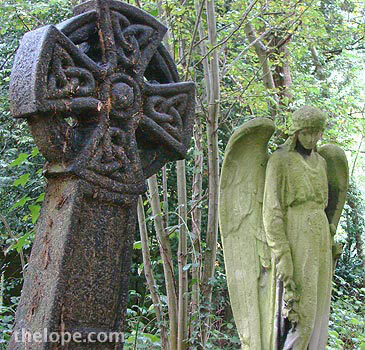 Patrick's Day Megapost takes you from Chapman, Kansas, to a bird's eye view of Ireland, to London's Celtic crosses and then back to Shamrock, Texas. There's a lot o' green in that post. 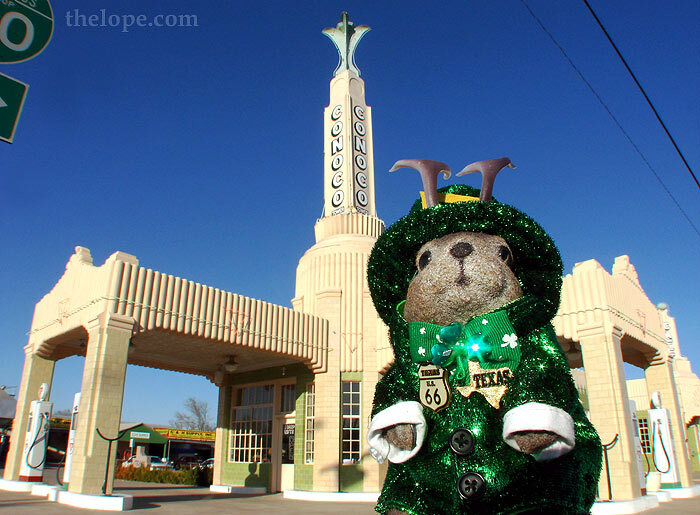 Happy St Patrick's Day, 2008 offers more Shamrock, TX, the fine Blue Dome of Tulsa, OK and some Irish Doxies.